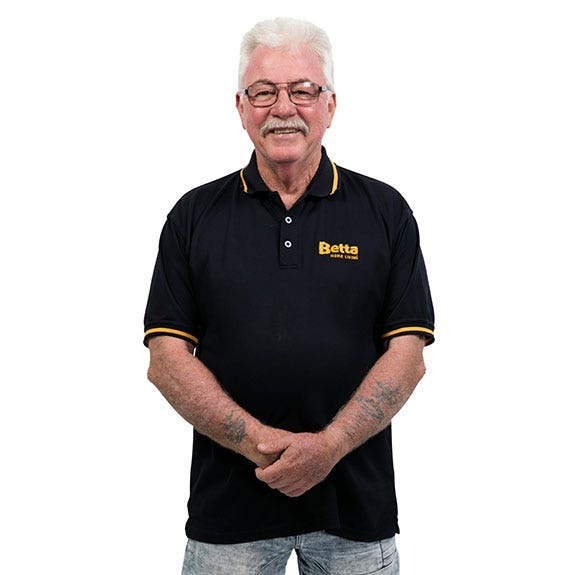 Betta's Broome team are always ready to provide you the best deals on fridges and freezers, washing machines, kitchen and cooking appliances and vacuums. You can't go past the local expert advice Broome Betta Home Living provide. Broome locals since 1966, Brad Howard and Tony Molloy enjoy all of the sports and fishing that Broome have to offer. The Betta Broome store employs two local staff members and supports local schools, sporting clubs, RSLs and other worthwhile causes through donations. When they’re not busy casting a line, Brad and Tony love sampling the foods at all of the local restaurants and supporting the West Coast Eagles.